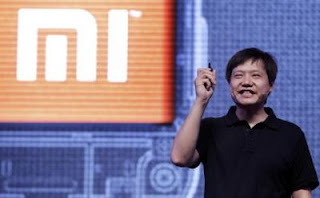 (GSM Insider) - CEO Lei Jun Says 2013 Will Be A "Do Or Die" Year For XiaoMi Technology. If you are getting the XiaoMi Phone 2 or XiaoMi Mi2 outside China, you should know that it is hard to get this device because it has been sold out for many times. Many analysts criticized that XiaoMi using the "hunger marketing" plan for its XiaoMi Phone 2. So, what is hunger marketing? Hunger marketing plan is very popular among smartphone makers in China. With the hunger marketing plan, the OEMs only released certain units for that particular device. For example, the first round of XiaoMi Phone 2 on sale with only limited 25,000 units available. The numbers are increasing slowly from time to time. This is to ensure the device sold out everytime on sale. In recent interviews, XiaoMi CEO Lei Jun slams those claims about the Hunger Marketing of XiaoMi. He stated that each device has only about 3 to 6 month life cycle. It isn't a smart move to adopt the Hunger Marketing on technological devices. At the moment, XiaoMi adopted the method where it ordered the device batch by batch from the manufacturer. This is the main reason why it XiaoMi Phone 2 on sale by batches. XiaoMi CEO Lei Jun concluded that the year 2013 will be a "do or die" year for the company. It is ready to battle with leading OEMs like Huawei, ZTE and Lenovo in the local Chinese market. (GSM Insider) - Unbelievable! XiaoMi Phone 2 Has Been Cloned As Well. Only those famous devices like Samsung Galaxy S3, Samsung Galaxy Note 2 and Apple iPhone 5 have cloned devices in China? The answer is no. XiaoMi is a Chinese smartphone brand that rose to the international market recently. Huawei and ZTE are on the top of Chinese brands but XiaoMi definitely not far from the throne. This is because the concept of XiaoMi is similar to the Apple. According to sources from China, there are manufacturers that produced the cloned XiaoMi Phone 2 and selling it in the market. Those people that running the online stores at Taobao are the customers to those cloned XiaoMi Phone 2. After they purchased the cloned XiaoMi Phone 2, they will sell it at Taobao. 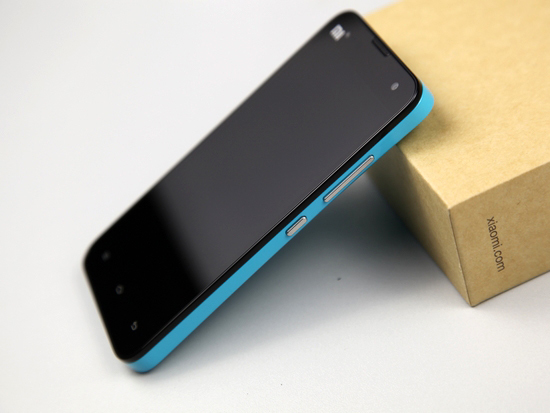 Those sellers at Taobao stated that the XiaoMi Phone 2 was obtained from special channel. But the real cause is those XiaoMi Phone 2 devices in the market are the clone edition. You can hardly spot the difference with raw eyes. Perhaps the main reason why this happened because XiaoMi Phone 2 suffered shortages. There is a huge demand in the Chinese smartphone market but the XiaoMi Phone 2 only has limited stocks. It is impossible to fulfill the huge demand when the XiaoMi Phone 2 is cheaper than those foregin brands' devices. (GSM Insider) - What Is HongMi Phone? The Latest Smartphone From XiaoMi Tech. Recently, there is a new brand of smartphone with the name of HongMi buzzing around the Chinese technology world. HongMi simply means "red rice" or "red millet" in Chinese language. Is HongMi the new competitor of XiaoMi? No No. Actually the HongMi is part of XiaoMi Technology. To remind you that XiaoMi means "millet" or "small rice" in China. At the latest Whois information, it reveals that the official website of HongMi, HongMi.cn is registered under the Beijing XiaoMi Technology. 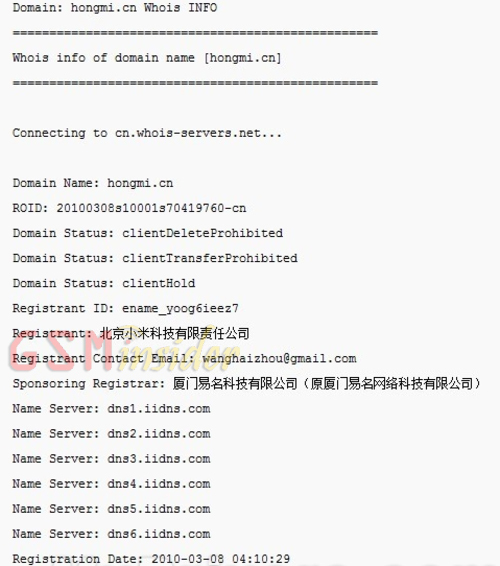 As the Whois information above reveals that the registrant of Hongmi.cn is XiaoMi Tech. With everything clear now as the HongMi is another brand or sub-brand of XiaoMi Technology. If someone asks you what is HongMi phone? The answer is HongMi from XiaoMi. So the HongMi is particularly another smartphone with red color. 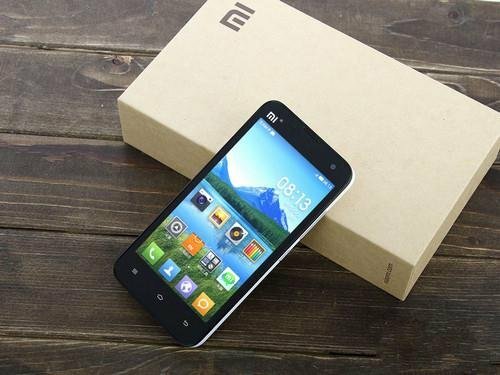 (GSM Insider) - Two Mysterious XiaoMi Phones Get Approval In China, Could Be XiaoMi Mi-2A and XiaoMi Mi-2S. A few days ago, GSM Insider reported that XiaoMi working with new device with enhanced specs which is known as the XiaoMi Mi-2A. In China, two unannounced XiaoMi Phones just approved by the local authority. The first XiaoMi phone is the one with model number of 2012121. It has a 4.5-inch display with 720p HD resolution, 1.7GHz dual-core processor, 1GB of RAM, 8-megapixels of rear-facing camera, 2-megapixels of front-facing camera, Bluetooth, WiFi and USB. It runs on Android 4.1.1 Jelly Bean and supported GSM/WCDMA networks. 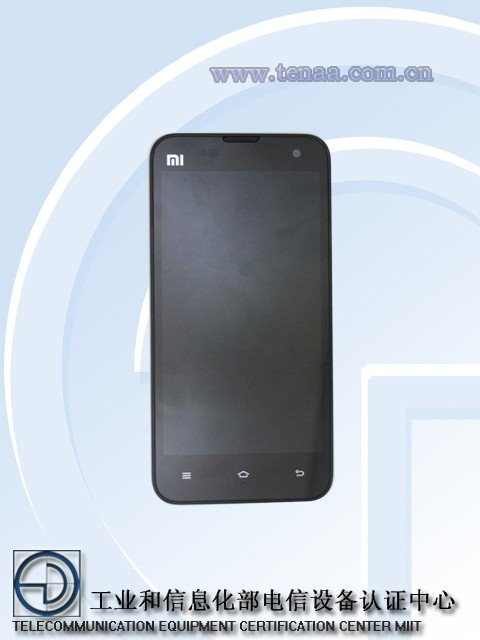 It has the measurement of 133×66.9×8.9mm and 149g, This could be the XiaoMi Mi-2A. The second XiaoMi phone is the one with model number of 2013012. It features 4.3-inch display with 720p HD resolution, 1.7GHz quad-core processor, 2GB of RAM, 8-megapixels camera at the back, 2-megapixels camera in front, USB, WiFi and Bluetooth. 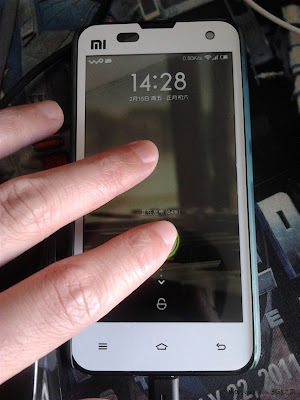 It runs on Android 4.1.1 and supported GSM/WCDMA networks. The measurement of is 126×62×10.2mm and 145g in weight. 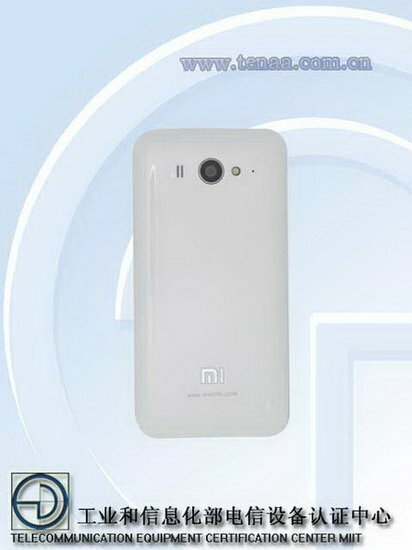 From the design that similar to the XiaoMi Phone 2, this is probably the XiaoMi Mi-2S. 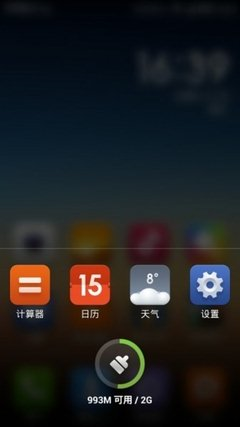 (GSM Insider) - Screenshots Of MIUI V5 Leaked, It Has Simple And Clean Design. Most of the manufacturers are busy with the Mobile World Congress 2013 in Barcelona with their latest devices. But this isn't the case of XiaoMi as this Chinese company doesn't attend the world's largest mobile device event. 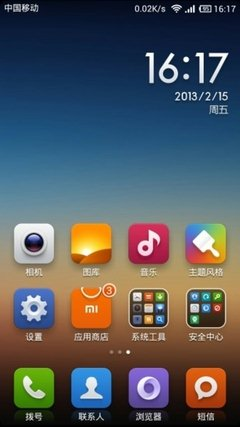 XiaoMi is busying with its own MIUI ROM. The alleged screenshots of the MIUI V5 has been leaked from China. Chinese sources reported that the images above are there screenshots that belonged to the MIUI V5. The MIUI V5 has completed difference design with the current MIUI V4. The MIUI V5 has a cleaner and simpler design. The icons on MIUI V5 are more rounded compared to MIUI V5. The more accurate to describe the MIUI V5 is it gives the feeling of MIUI in Android 2.3 Gingerbread version. Sources from China reported that the MIUI V5 will be released for public BETA on March 1st, 2013. MIUI V4 should be based on the Androd 4.2 Jelly Bean platform. 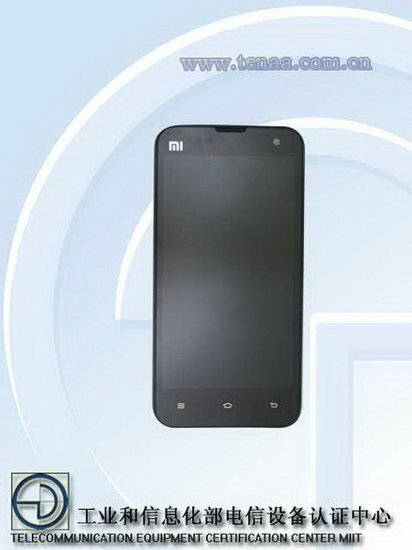 (GSM Insider) - XiaoMi Phone 2A With New Design And Enhanced Specs In Working. Last year, XiaoMi unveiled the XiaoMi Phone 2 and XiaoMi Phone 1S. So the same goes to this year as XiaoMi is working on two new devices this year. That is the XiaoMi Phone 3 and XiaoMi Phone 2A (also known as XiaoMi Mi-2A). According to sources from China, the XiaoMi Phone 2A is in working. This is because XiaoMi Phone users successfully found the accessories of XiaoMi Phone 2A at the XiaoMi Store. However, no images yet on those accessories as only names available at the moment. The accessories of XiaoMi Phone 2A that leaked were included charging dock, back cover as well as the screen protector. There are multiple colors of XiaoMi Phone 2A back cover. From those leaked accessories, XiaoMi Phone 2A could have the display size that close to XiaoMi Phone 2. However, the battery and back cover are not the same. This shows that XiaoMi Phone 2A and XiaoMi Phone 2 are not having the same design. 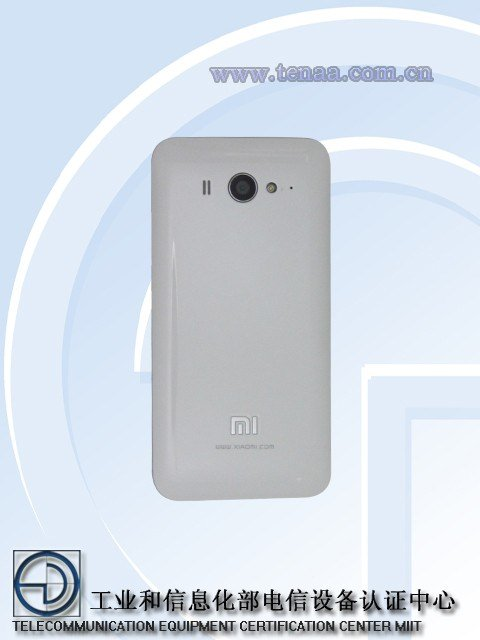 Yesterday, the alleged back cover of XiaoMi Phone 2 leaked. It revealed that the XiaoMi Phone 3 has a metal-made body. We shall see exciting new XiaoMi Phones coming this year. 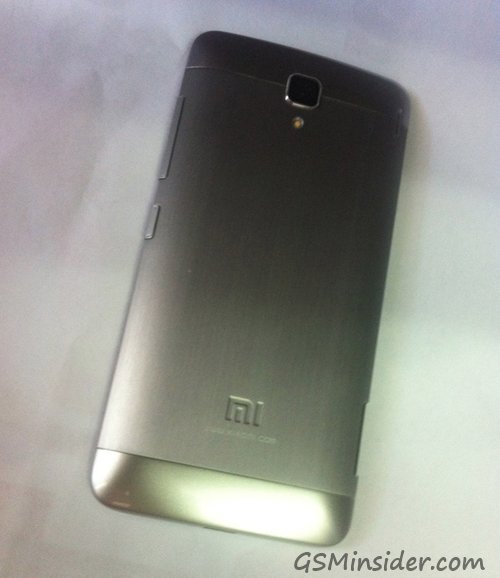 (GSM Insider) - Alleged XiaoMi Phone 3 Handset Leaks, It Has Metal Body Too. According to sources from China, XiaoMi Tech already released the prototype of XiaoMi Phone 3. The leaked image was said to be the XiaoMi Phone 3 handset. This is the first time XiaoMi Phone 3 smiles to the camera. From the leaked image, seems like the XiaoMi Phone 3 was made from the metal body as well. You can see the back of XiaoMi Phone 3 is in metal with some glittery looks. The new HTC One has metal made body too. Sources from China stated that the XiaoMi Phone 3 will be powered by the Qualcomm's processor and not the NVIDIA Tegra 4. This is because XiaoMi and Qualcomm have a very close relationship. So the possible processor of XiaoMi Phone 3 could be Snapdragon 600 or Snapdragon 800. 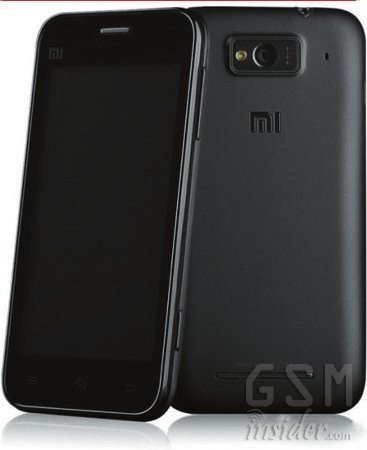 The current XiaoMi Phone 2 was the first smartphone that featured the popular Snapdragon S4 Pro quad-core processor. Qualcomm gave this privilege to XiaoMi clearly reflected the close relationship between both company. XiaoMi Phone 2 In White Spotted In The Wild, Heading To China Unicom? (GSM Insider) - XiaoMi Phone 2 In White Spotted In The Wild. Recently, XiaoMi Tech released a video ads of XiaoMi Phone 2. And the white version of XiaoMi Phone 2 was spotted in the video. The XiaoMi Phone 2 isn't fully white. It is mixes with black and white. The front and back covers are in white while the side has black color. So it is the some kind of "panda" color. From the signal of the device, this white XiaoMi Phone 2 is heading to the China Unicom. 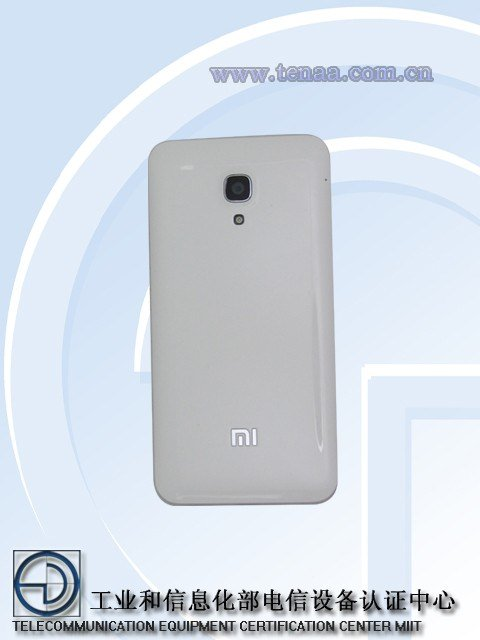 However, there were some users argued that the white XiaoMi Phone 2 was a fake device. It was the white sticker that changed the XiaoMi Phone 2 in white. The white sticker for XiaoMi Phone 2 can easily purchase in China. So, what do you think about this XiaoMi Phone 2 white version? 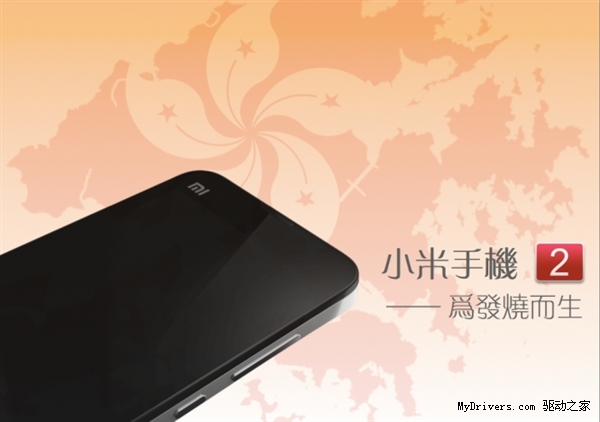 (GSM Insider) - XiaoMi Phone 2 Gets Approval In Taiwan And Set For Launch. XiaoMi Phone 2 was launched in China a few months back and already on sale as well. This is one of the popular smartphones in the Chinese market due to its affordable price and high end specs. According to the latest NCC document, a device with the name of XiaoMi M1 was approved in Taiwan and set for launch. This XiaoMi M1 is said to be the XiaoMi Phone 2. The model number is 2012061. At the moment, XiaoMi has been yet confirmed on when the XiaoMi Phone 2 will be launched in Taiwan. Reliable sources stated that the launch date in the coming weeks. (GSM Insider) - XiaoMi Is The Most Popular Mobile Phone In China, According To Qualcomm CEO. During the DAVOS 2013 - World Economic Forum Annual Meeting 2013, Fox USA interviewed Qualcomm CEO Paul Jacobs and asked him an interesting question. Which mobile phone in China is the favorite but unknown to American?" is the question from Fox USA reporter to Qualcomm CEO, Paul Jacobs. There is a Chinese Steve Jobs and he founded a company with the name of XiaoMi Technology. - Qualcomm CEO, Paul Jacobs. After the answer from Paul Jacobs, he continues to introduce more details about XiaoMi to the world. The Fox USA reporter stated that the American will know more about XiaoMi after the introduction from Qualcomm CEO. This showed that the ability of Chinese manufacturer is receiving high recommendations from the international company. Qualcomm's Snapdragon S4 Pro APQ8064 is one of the most popular quad-core mobile processors in the market as it features in many of the devices like Sony Xperia Z, HTC Butterfly, LG Nexus 4, LG Optimus G and Asus Padfone 2. But do you know that XiaoMi Phone 2 or XiaoMi Mi-Two is the first smartphone to powered by this processor? 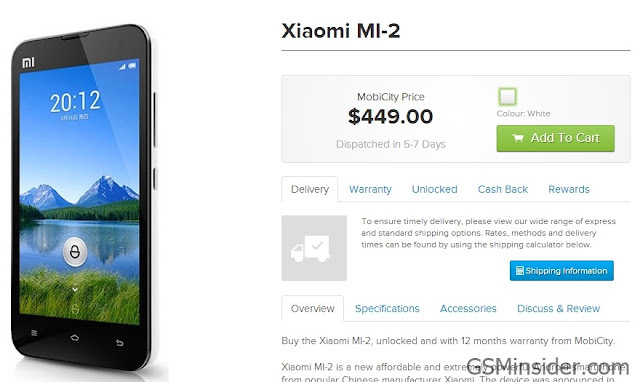 (GSM Insider) - XiaoMi Phone 2 On Sale In Australia, Price At AUD $449. Recently, there were rumours stated that XiaoMi Phone 2 set to arrive at the oversea market. Seems like it is true now as the XiaoMi Phone 2 on sale in Australia. XiaoMi Phone 2 also known as the XiaoMi Mi-2. XiaoMi Phone 2 is officially on sale at Mobicity of Australia. Australia is the first oversea country outside China that gets the XiaoMi Phone 2. XiaoMi Phone 2 selling in Australia with the price of AUD $449 which is equals to USD $472. XiaoMi Phone 2 selling in China with the price of RMB $1999 which is equals to USD $321. So the XiaoMi Phone 2 in Australia is more expensive than in China. 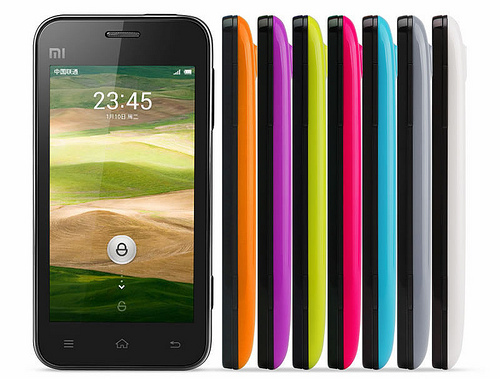 Buy the Xiaomi MI-2, unlocked and with 12 months warranty from MobiCity. 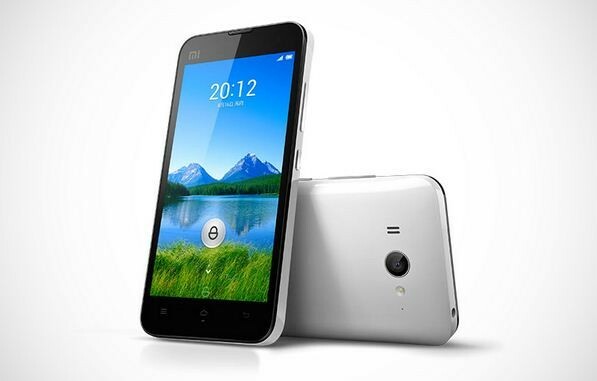 Xiaomi MI-2 is a new affordable and extremely powerful Android smartphone from popular Chinese manufacturer Xiaomi. The device was announced in August last year and attracted worldwide attention due to its impressive specs and price. It models a design very similar to Apple's iPhone with curved edges and features a 4.3-inch IPS capacitive touchscreen LCD, ideal for one hand operation. The screen supports multitouch, has a screen resolution of 720 x 1280 pixels and a pixel density of 342ppi. 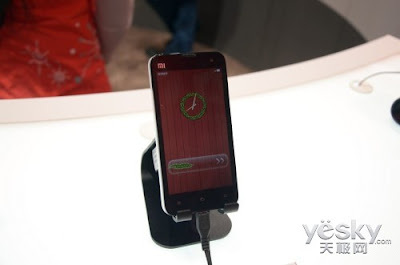 The device is powered by Android OS v4.1 (Jelly Bean) based MIUI custom ROM. The main feature that MIUI brings to the phone is an iPhone-like apps spread across home screens instead of a regular Android app drawer, which will work well for those Android fans who like iOS style apps area. The ROM does not include Google Play as default, but can be easily downloaded from the phone's MI Market. Once installed, you can download other apps without any fuss. Xiaomi MI-2 comes with a powerful 1.5GHz Quad-core Snapdragon S4 processor along with a hefty 2GB RAM making the phone perfect for multitasking and super smooth internet browsing. A built-in Adreno 320 GPU is also part of the hardware and provides graphics acceleration for games, apps and movies. The phone sports an 8.0 Megapixel rear autofocus camera having a maximum picture resolution of 3264 x 2448 pixels. Additional camera functions are LED flash, touch focus, geo-tagging, face & smile detection, image stabilization and HDR 1080p Full HD movie recording. A 2MP HD front cam is also included for video calls. Other key specs include - English language support, Wi-Fi connectivity, Bluetooth v4.0, microUSB v2.0, GPS, HTML5 support, themes with unique lock screens, SMS filter, caller blacklist, network monitor, voice assistant and a 2000mAh battery. 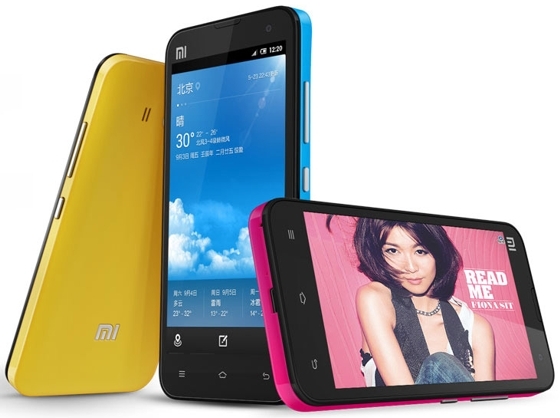 (GSM Insider) - China Telecom's XiaoMi Phone 2 Approves, Compatible With Three Major Networks. Three days before, XiaoMi CEO Lei Jun confirmed that China Telecom's XiaoMi Phone 2 launching within two weeks. Finally, this device receives green light from the Chinese authority. XiaoMi Phone 2 for China Telecom is similar like the XiaoMi Phone 2 previously on sale in China. The main different is this China Telecom model supports three major networks in China. It is not only compatible with the CDMA2000 and CDMA 1X network of China Telecom, it also supports WCDMA and GSM networks as well. XiaoMi Phone 2 China Telecom version has 4.3-inch 720p HD display, 1.5GHz Snapdragon S4 Pro quad-core, 2GB RAM, 16GB of internal memory and 8-megapixels of rear camera. It runs on MIUI V4 which is based on Android 4.1 Jelly Bean. The China Telecom's XiaoMi Phone 2 is priced at RMB $1999. It will launch by China Telecom in coming two weeks. (GSM Insider) - XiaoMi Phone 2 For China Telecom Launching Within Two Weeks. XiaoMi Phone 2 is very popular in China as the sales numbers were impressive last year. GSM Insider reveals that XiaoMi Phone 2 achieved more than 1 million units sales since it was launched. The XiaoMi Phone 2 is the GSM /WCDMA model. How about other model? Earlier today, XiaoMi CEO with the name of Lei Jun confirms that the XiaoMi Phone 2 for China Telecom launching within two weeks. In other words, XiaoMi Phone 2 will available before the Chinese Lunar New Year. XiaoMi Phone 2 for China Telecom and XiaoMi Phone 2 having the same specs. It features 4.3-inch 720p HD display, 1.5GHz Snapdragon S4 Pro quad-core, 2GB RAM, 8-megapixels camera and MIUI V4 based on Android 4.1 Jelly Bean. The only different is the network compatibility. 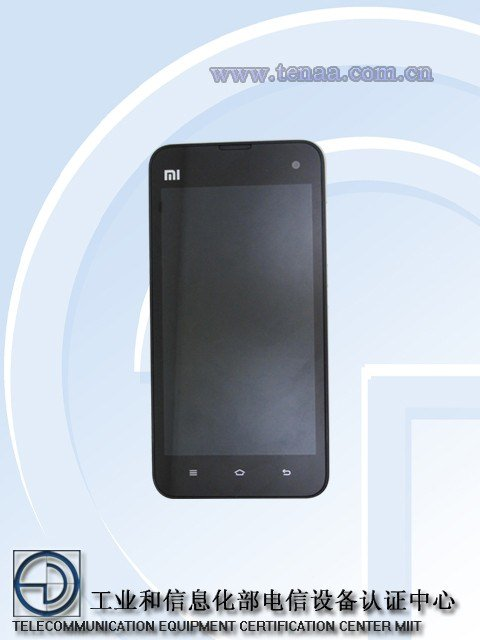 XiaoMi Phone 2 for China Telecom supports the GSM/CDMA2000/1X EV-DO network. But it remains no news whether XiaoMi Phone 2 will available in TD-SCDMA version. Earlier this month, GSM Insider revealed that XiaoMi Technology successfully shipped more than 7 million units of XiaoMi phones in year 2012 alone. 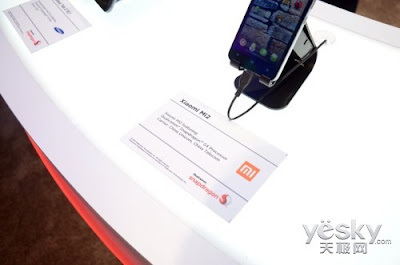 (GSM Insider) - XiaoMi Phone 2 Makes Appearance At CES 2013, Hands On With First S4 Pro Device. It has been a few months since the XiaoMi Phone 2 was launched in the market. It is one of the best selling smartphone in China. XiaoMi CEO announced that more than 7 million XiaoMi phones were sold in 2012. This XiaoMi Phone 2 is the first device that powered by Snapdragon S4 Pro APQ8064 processor. Thats why it makes appearance at the Qualcomm booth at the CES 2013. It carrying the Snapdragon S4 Pro flag. XiaoMi Phone 2 has a 4.3-inch IPS display with 720p HD resolution. It is powered by 1.5GHz Snapdragon S4 Pro quad-core processor and 2GB of RAM. It packs with 8-megapixels main camera and 2-megapixels front camera. Furthermore, it runs on MIUI V4 which is based on Android 4.1 Jelly Bean. (GSM Insider) - XiaoMi Technology Ships More Than 7 Million Units of XiaoMi Phones In Year 2012. With the sales of XiaoMi Phone 2 is so impressive in China, there are many people outside China that interested in the sales figures of the Chinese company. Earlier today, XiaoMi co-founder Li Wanqiang does reveal some numbers about the XiaoMi Phone. XiaoMi Technology successfully ships 7.19 million units of devices in the year 2012 alone. The revenue before tax is about RMB $12.6 billion. This is the first time XiaoMi reveals its financial status. The co-founder stated that the calculation started from January 12th, 2012. 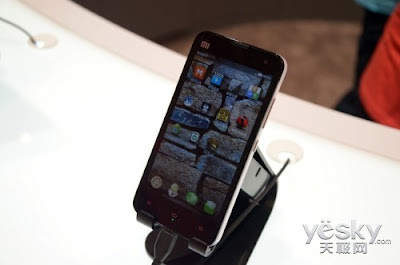 For the year 2012, the average price of XiaoMi Phone is around RMB $1752. He wrapped up by stated that 70% of the sales of XiaoMi Phones in 2012 were came from online selling. XiaoMi CEO Lei Jun must be a proud person at the moment as its XiaoMi Phone 2 hits 1 million units of sales in China alone. XiaoMi Phone 2 also known as XiaoMi Mi2 or XiaoMi M2 in local market. XiaoMi Phone 2 was on sale a few times in last year and it was sold out no long after it was available. After a few rounds, XiaoMi Phone 2 successfully accumulated 1 million units of sales. This is kinda impressive for a Chinese company. XiaoMi Phone 2 is yet to launch globally although its CEO has a big plan for its handset. But seems like it was a wise move from XiaoMi CEO by focusing on China at the moment. China is the world's largest smartphone market. 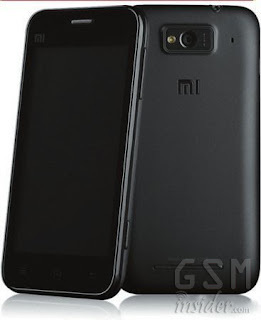 XiaoMi Phone 2 packs with 4.3-inch 720p HD display, 1.5GHz Snapdragon S4 Pro quad-core processor, 2GB of RAM, Android 4.1 Jelly Bean and 8-megapixels of rear camera. It was the first device to feature the popular Snapdragon S4 processor from Qualcomm. XiaoMi Phone 2 is available to purchase online at Weibo of XiaoMi Mobile on every Saturday. Rumour: XiaoMi Phone 3 Comes With 2.5GB RAM and 12MP Camera? 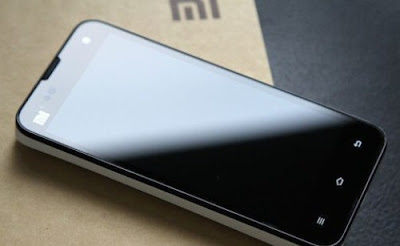 (GSM Insider) - Rumour: XiaoMi Phone 3 Comes With 2.5GB RAM and 12MP Camera? Its rumour time! The latest rumours from China stated that the third gen XiaoMi smartphone already on works. The progress of this smartphone already on the last stage. We've learnt on some specs about the XiaoMi Phone 3, also known as XiaoMi Mi3. It is said to feature 4.5-inch of IPS display with 1080p Full HD resolution, 2.5GB of RAM, 12-megapixels of rear camera, Tegra 4 quad-core and Android 4.2 Jelly Bean. The first XiaoMi Phone 3 is going to be China Mobile version that supports the TD-SCDMA network. The price is around RMB $1999 as the launch date would be around summer 2013. 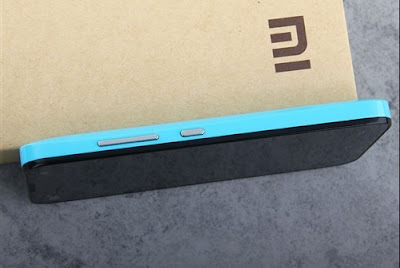 Earlier, there are news stated that the first generation of XiaoMi not getting the Jelly Bean update. Since then, it caused much dissatisfaction from "Mi Fans" in China. However, seems like things have change since then. According to XiaoMi forum, it confirms that the XiaoMi Mi1 and XiaoMi Mi1S getting the Jelly Bean update after all. Finally on yesterday, XiaoMi officially rolls on the Android 4.1 Jelly Bean BETA update for the XiaoMi Mi1 and XiaoMi Mi1S. The long wait has been over for those who waiting for it. The BETA is still based on the native Android 4.1 Jelly Bean UI. If there are no problems on the BETA update, then the MIUI V5 that based on Android 4.1 Jelly Bean definitely coming soon. This is a very good news ahead of the new year. However, there are no news yet on when the XiaoMi Phone 2 getting Android 4.2 Jelly Bean.